The Federal Motor Carrier Safety Administration (FMCSA) is investigating whether some flexibility can be added to the hours-of-service rules, according to congressional testimony from FMCSA Administrator Ray Martinez. Speaking before the House Committee on Transportation and Infrastructure on Tuesday, May 22, Martinez said the agency is engaged in discussions with the trucking industry and safety advocates “to see what would be acceptable” in terms of rule changes. With better hours-of-service compliance rates due to the switch to electronic logs, the time is right to see whether the hours-of-service rules can be adjusted, Martinez said. “I believe that a great first step has been these electronic logging devices, because now it makes everybody on a level playing field,” he said. Martinez cautioned, however, that the agency doesn’t want the rules to become so complicated that they cause problems during roadside enforcement. “We have to make sure that they’re clear rules but that [they] provide flexibility,” he said. 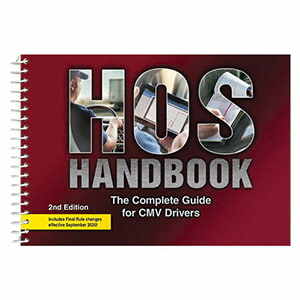 J. J. Keller's HOS Handbook: The Complete Guide for CMV Drivers - 2nd Edition provides the who, what, when, where, why, and how-to of Hours of Service for drivers.